We believe that just as a well-made pizza needs strong dough as a foundation, healthy communities also need a strong base on which to grow and thrive. We believe we play a role in building that strong base through our support of our community schools, non-profit organizations, and people. We believe in providing a gathering place for all. Aubree’s is proud to provide sponsorships, donations, and other support to youth teams, local events, fundraising efforts, etc. Please contact the location closest to you for specific requests. 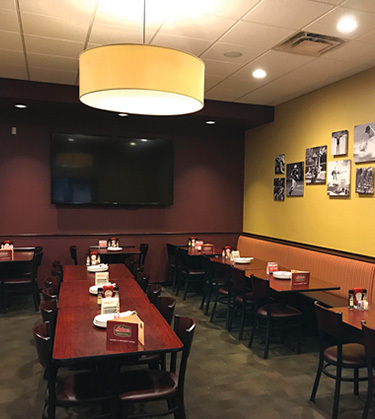 Click to view our locations. Complete the form below and a manager will then contact you to confirm your event. 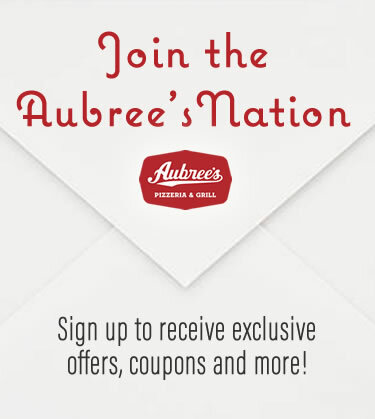 Distribute flyers (we provide a custom PDF file) to your friends and family encouraging them to eat at Aubree’s on your designated date. 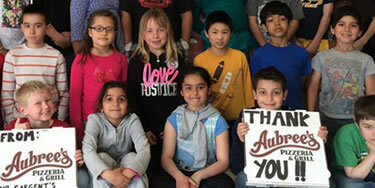 You get a donation check from Aubree’s! We do not support organizations that discriminate against a person or group on the basis of age, political affiliation, race, national origin, ethnicity, gender, disability, sexual orientation, or religious belief. Soliciting guests in or around restaurant premises during the event is not permitted and may forfeit the fundraiser.